Just to the south of the village of Tibberton on the former Birmingham and Gloucester Railway line there is a vantage spot where a minor road from Worcester to Crowle crosses the line. 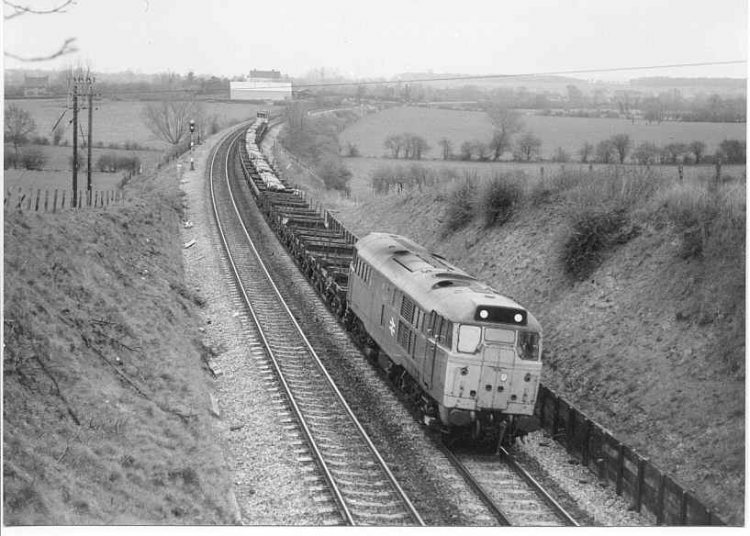 Class 31 diesel locomotive No.31115 heads a southbound freight at Tibberton on 25th April 1978. 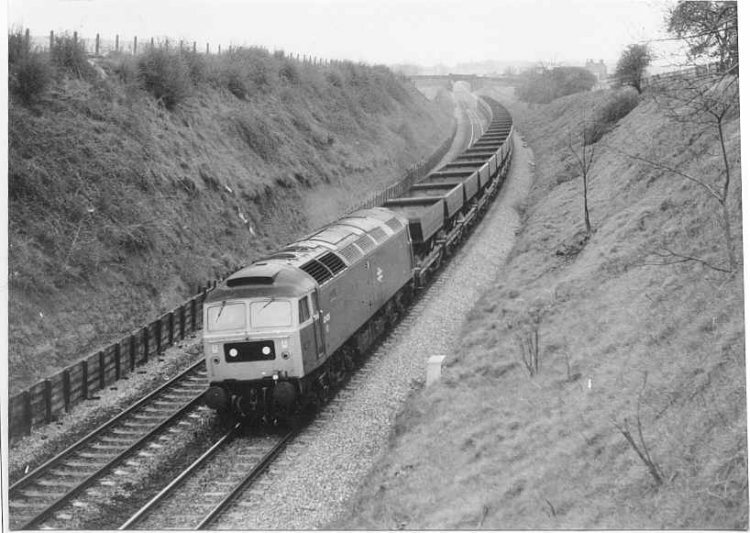 On the same date, class 47 diesel locomotive No.47475 has charge of a train of returning empty wagons. Both photographs taken by Adrian Booth. 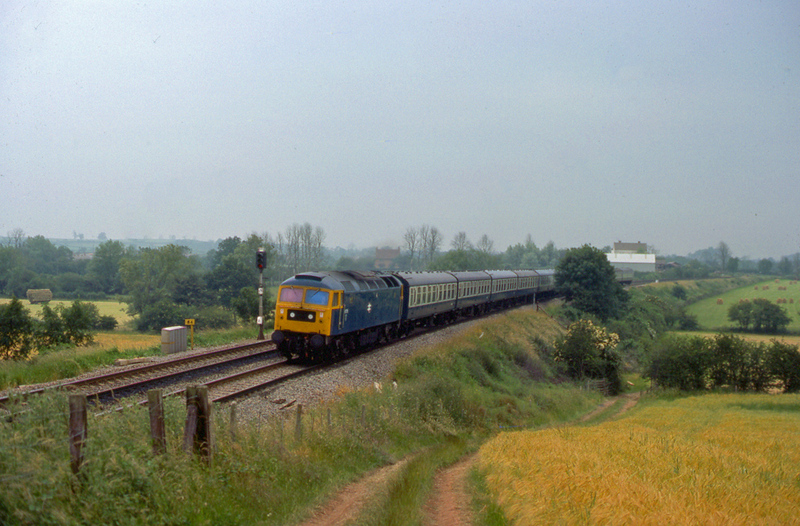 Class 47 No.47115 at the head of a southbound passenger train on 9th July 1977. Photograph taken by Andrew Smith. Shortly before 10am on Sunday 25th March 2012 DRS livery class 66 diesel locomotive No.66429 passes Tibberton with train code 4V38 09:28 Daventry to Wentloog container train. Photograph taken by Andrew Smith. 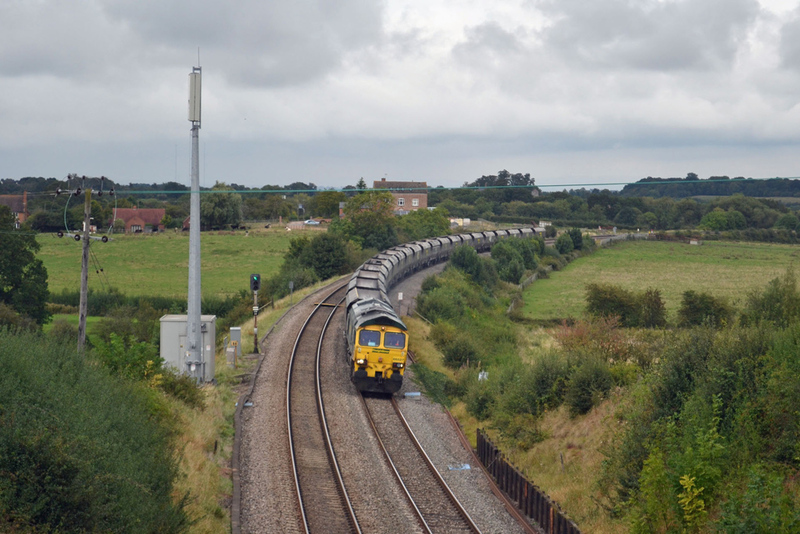 Above: At shortly after 14:30 on the afternoon of Friday 21st September 2012 class 66 diesel locomotive No.66527 sped past Tibberton with train code 4V06 from Ratcliffe to Portbury empty coal hoppers. The summer growth of the trees on the embankment is noticeable when compared to the view above in March. 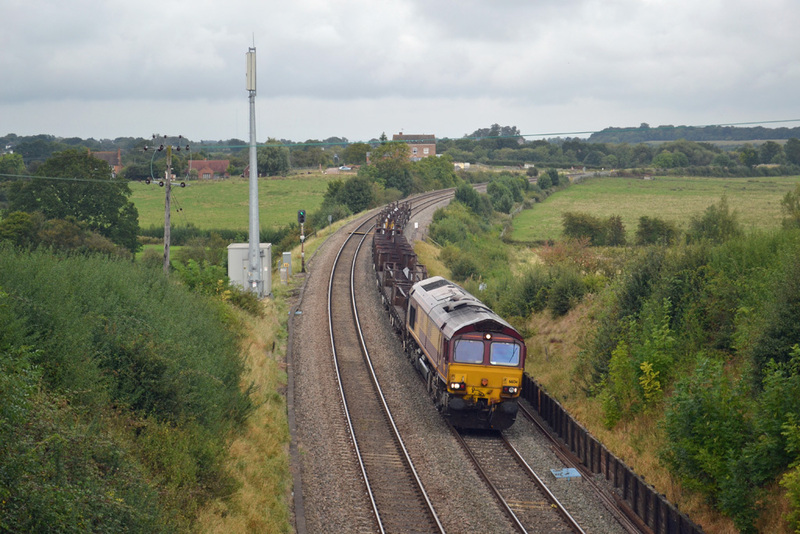 Below: It was followed shortly after by DB Schenker's class 66 No.66134, still in EWS livery, with train code 6V92 on the returning empty steel wagons from Corby to Margam.